POSITIONING THE YOUTH FOR GROWTH AND PRODUCTIVITY. 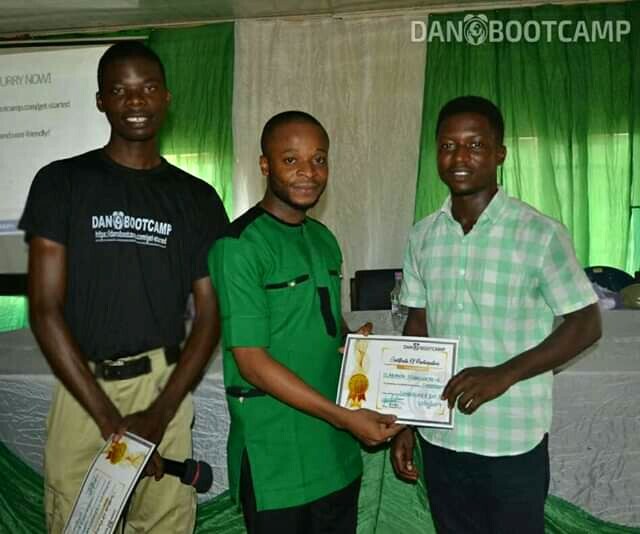 GAINSPEED 0.5 NATIONAL YOUTH CONFERENCE ANAMBRA STATE – 24TH MAY 2019. POWERED BY IGC TRAINING AND INSPIRED BY MR. PETWISE. 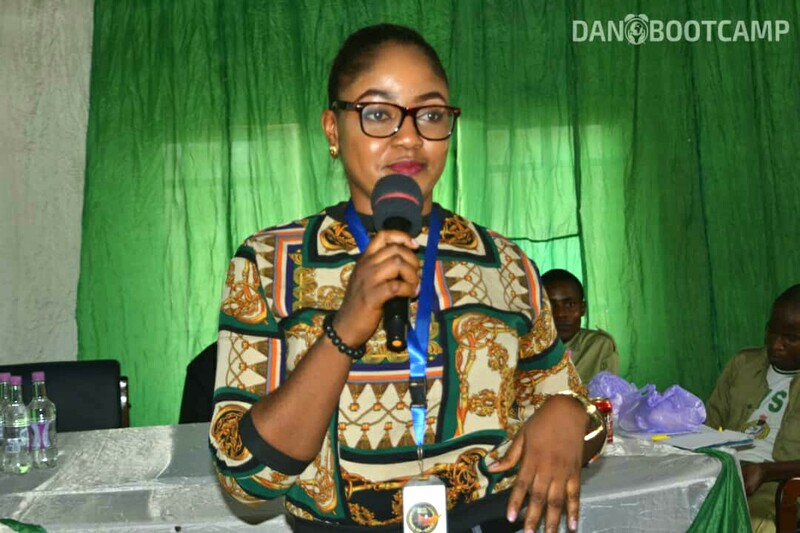 THEME: ANAMBRA IMPACT... At the early stage of my career, I became a long term thinker. There is so much NOW everywhere, and so much here and there ideas. No one wants to think deep and disagree, while only few ASK why. The market is getting more competitive and consumers are getting more smarter. Training on sales and product development is the key. MBA will teach you about the basics of accounting and how the financial numbers relate to your systems, but having an MBA doesn’t mean you’re competent to run a business. There’s a clear difference between an entrepreneur and a hustler, a hustler makes a lot of money during the week and spend it all during the weekend and starts the hustling once again from scratch while the entrepreneur uses the money he has made to build more wealth and his money works for him. Hustlers are rich while entrepreneurs are wealthy. If you are into business, or a CEO, company owner, employer and employee, self employed or aspiring entrepreneur, DO NOT MISS THIS OPPORTUNITY TO GET TRAINED AND MENTORED. SAVE THE DATE…. ENTRY IS FREE. Business strategies to drive growth and profitability. VENUE: 54/56 Oguta road, Onitsha, Anambra State..
Young people, graduates and undergraduates, civil servants and businessmen. 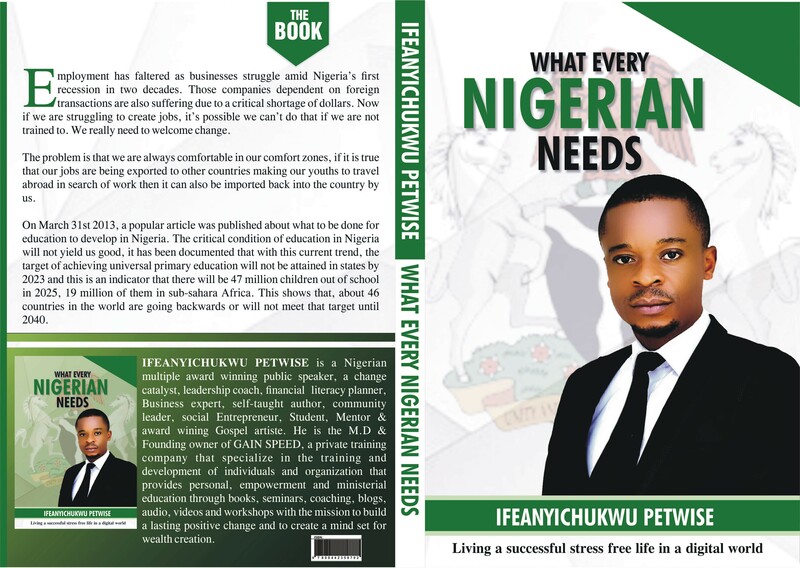 As a Business coach, management consultant and a capacity builder, IfeanyiChukwu Petwise is the CEO of IFEANYICHUKU GLOBAL CONSULT (Gain Speed), a private human resource management consultancy services and human capital development company that is into all kinds of training, coaching, consulting and sales. We’re are the centre for creativity, impacting all ramification of human life, advocate of right values, promoting social responsibility projects through our well researched training and strategic mentorship for promoting great entrepreneurs and leaders that will be involve in human history and make a difference in the global environment. Posted on March 29, 2019 Leave a comment on POSITIONING THE YOUTH FOR GROWTH AND PRODUCTIVITY. 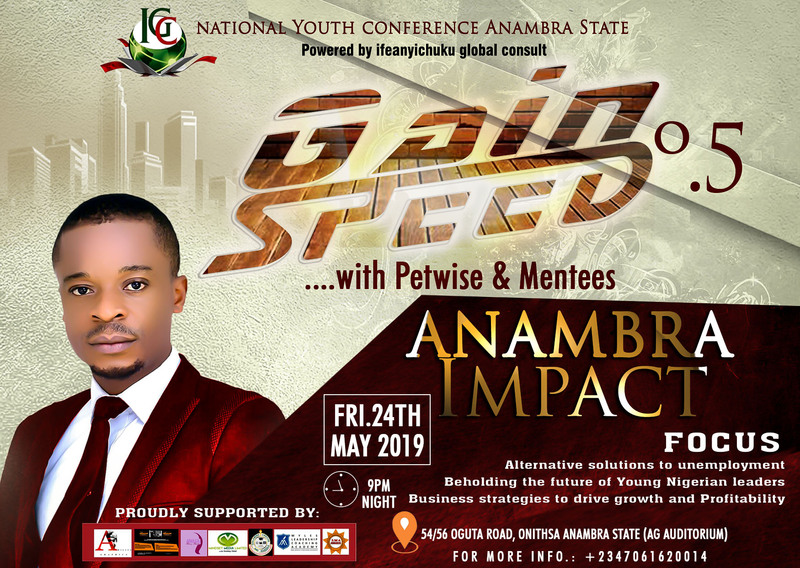 GAINSPEED 0.5 NATIONAL YOUTH CONFERENCE ANAMBRA STATE – 24TH MAY 2019. POWERED BY IGC TRAINING AND INSPIRED BY MR. PETWISE. There is no shortage of money on planet earth, we only have shortage of ideas. God is never against people becoming rich but he is against those who pursue riches solely to gratify their selfish desires. Stop praying that our economy will be completely alright because it is impossible. With a 100% correct and developed economy, there would never be any opportunity for solution, and when there is no solution, greatness is absent. Every great man has a solution to a problem, without problems, there will never be a great man. *1: CHANGE THE WAY YOU THINK ABOUT MONEY. There is never an over night success or quick money scheme. Any man that suddenly becomes successful was never sleeping at night. The reason you don’t have the whole money you are looking for is because you have not understood the nature of money and how it works. Money is like a living thing, just like when you wake up in the morning to go to work, you are selling your product which is yourself. Stop being afraid of losing money, if not you lose it. Money reacts 80percent to your state of mind. EACH DOLLAR YOU SAVE IS LIKE AN EMPLOYEE. IF YOU THROW YOUR MONEY TO WHERE YOU ARE GOING , IT WILL DOUBLE ITSELF AND FOLLOW YOU. THAT IS THE POWER OF INVESTMENT. So Financial freedom is not holistically limited to being free now, but focuses on your deliberate actions at the moment, geared towards making you free tomorrow. Nigeria is filled up with people who are playing it safe. They only look for where to work, they live in fear of tomorrow and are not willing to discuss their ideas. The biggest mistake you should avoid is to start today and expect to be richer than Dangote tomorrow. THE ONLY WAY TO MAKE MONEY IS TO FIRST THINK OF WHAT YOU WILL OFFER. Most people suffer from not-enough mentality. They think that if they don’t make #500naira everyday, they will not be rich, forgetting that true riches is a product of little amounts subjected to growth. Do not plan when money comes, you plan ahead of the money. The great people you hear about today started their own businesses with the little money they had but projected it with other people’s money. Mark of Facebook looked for investors because the idea was huge and needed millions to be invested in it. Likewise Apple, Ford Motors, Honda and many of them. God is not just interested in giving you money but He is rather interested in the plans that you have at hand. 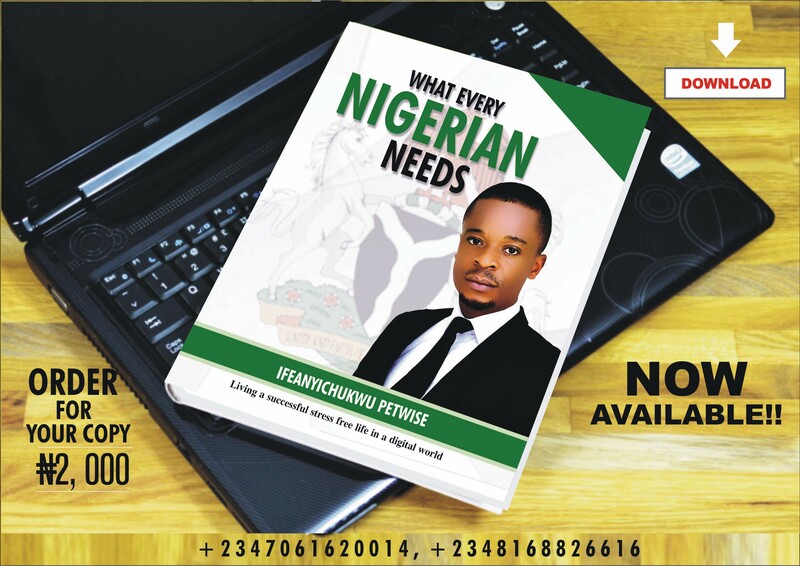 Financial freedom can only come when you have discovered that you have the abilities to convert intangibles resources into tangible resources. Intangibles resources are those inborn talents in you, your creative money idea and ability to catch a vision and run with it. The more money you employ the faster and larger it will grow, that is making money your employee. Every rich man today was once using the principle of saving in the past. IF YOU HAVE ANY SOURCE OF INCOME NOW, IT IS AN OPPORTUNITY FOR YOU TO START BUILDING WEALTH. You could be saving 5naira or 10naira every day, but every savings is like a stone thrown into the foundation of your financial freedom. You can never be truly rich tomorrow without savings and investing now. We are all conversant with the popular motion which postulates that stopping men from begging fish, is the only way to teach them on how to fish. People will always ask why they are not rich, it is simply because you refused to do things in a different way. It is obvious that inactivity leads to replacement if the environment must be impacted but in a society where money is more respected than integrity, where weak and redundant candidates find their ways into the Government House, Bench warner. Calamity will never seize from the State. Seriously, there has been an unnoticed, lacuna, Passive and nearly inactive Presence, of the Imo State Government. This has resulted in a voicelessness, prolonged mis rule, hence making oppression, inevitable. 1. Chief Collins Osuagwu remains the most qualified candidate because of his respectable personality, which is grossly unquestionable. An outstanding man of integrity, morally sound, sound mind and physically fit. 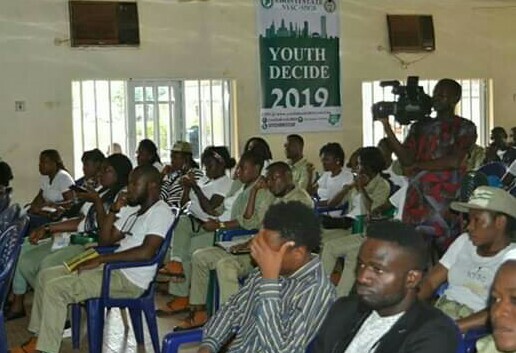 He has existing structures in Imo State, *Chief Collins Osuagwu Foundation youth connect programs, believers and loved ones, just as he has in every nook and cranny of the nation, NIGERIA and International. Making him a national and International product. These depicts a feature, palpable presence, relevance, acceptance and why, he has to deliver come 2019 general election to make Nigeria greater. 2. The past and present experiences of our Candidate – Chief Collins Osuagwu is full of productive activities, graced with huge national and global successes. A deep and immense personality, positive in nature and an outstanding industry charge builder. . These has been Made clear and evident through his prompt environmental evaluations and scenario scouting missions, local innuendos, acquired thoroughly and controlled continuous assessments of the State. He is very decisive, with zero tolerance for mistakes and laziness. A man of his word, A walking genius, a good Christian and a vastly acclaimed knowledgeable legend of our times. Gracefully, He sees this as a privilege to serve his people and from all indexes he is highly favored and needed in Imo State to make Nigeria greater. 4. Chief Collins Osuagwu’s track record is exclusively excellent, which makes him an Inspiration to even other political contenders. 5. He is very accessible combined with great humanitarian qualities. A kind man, bundle of humility and a good spirited fellow. 7. Chief Collins Osuagwu is a more realisable dream, even in the State *IMO. His personality will cut across federal character policy’s and can be highly influential in the Presidency. 8. Chief Collins Osuagwu has in the past inspired confidence in young minds including some of his opponent’s in the race today and still remains an inspiration to the youths, even till date. 9. 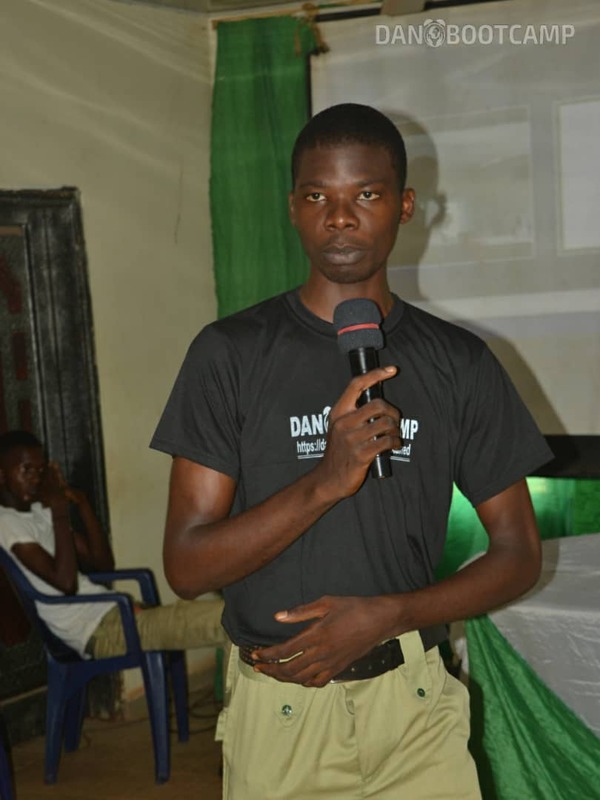 Chief Collins Osuagwu is a hero maker and we believe he can make more hero’s from our verstly talented youths. 10. Chief Collins Osuagwu is in the best interest, of our State IMO. Chief Collins Osuagwu is our own illustrations & Fearless Son. Accountable leaders inspire minds. He will inspire our State to national standards. TODAY, CHINA HAS MORE THAN 300 MILLION UNIVERSITY GRADUATES. YET, CHINA DID NOT HAVE DIRECT FOREIGN INVESTMENTS; IN FACT CHINA STOPPED IT. – MUHAMMAD SANUSI II, THE EMIR OF KANO. 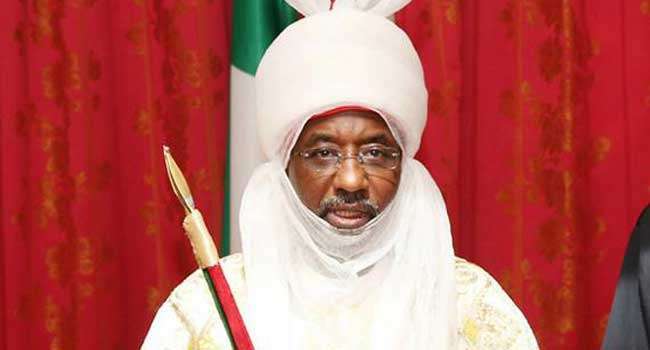 Muhammad Sanusi II, the emir of Kano, says Nigeria may remain the poverty capital of the world till 2050 and beyond. Speaking at his honorary induction into Sigma Club, at the University of Ibadan over the weekend, the former governor of the Central Bank of Nigeria said based on current realities, Nigeria and DR Congo will house 40 percent of the world’s poorest people by 2050. The revered economist said he gathered from the just concluded UN General Assembly that current projections show that Africa will be home to 80 percent of the world’s poorest people. “If every country continues its present trajectory, by 2050, 80 per cent of all the poor people in the world will live on the African continent,” he said. Speaking of what Nigeria used to be, the emir said “this is a country that has produced many great people. This is a country that has boasted of best professors, greatest intellectuals, and the most educated people”. “In 1960, the per capital income in Nigeria was higher than what it was in South Korea, and China. My father was the first ambassador of Nigeria to China in 1972. “In 1972, he had to go to Hong Kong every two weeks to buy essential commodities because they were not available in Beijing. He could not find milk, sugar and cornflakes in Beijing; he had to go to Hong Kong in 1972, not 100 years ago. “In 1974, when Deng Xiaoping started opening up in China, there were 700 million Chinese living in extreme poverty. Today, that number is down to only 30 million people in one generation. In 1974, China had only 8million university graduates. “Today, China has more than 300 million university graduates, more than the entire population of the United States of America. Yet, China did not have direct foreign investments; in fact China stopped it. “We talk about miracles, ancient miracles. I don’t like the word miracles because miracles are associated with angels with wings that you do not see, coming from the sky. The Chinese are human beings like us and they did it. 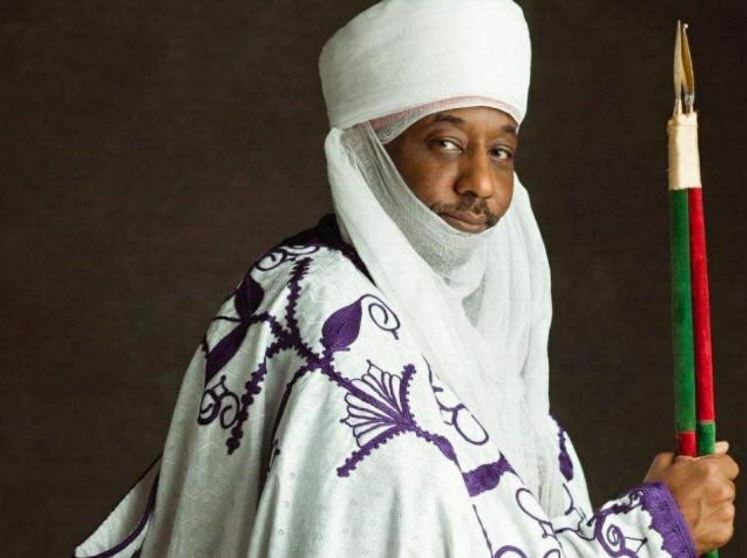 Sanusi said the politics of 2019 is not interrogating the major issues affecting Nigeria today. “We have elections in 2019, I read the papers, I look at the television, and listen to the discussions, who is talking about education? Who is talking about nutrition? Who is talking about basic health? As a country, what are our priorities? We don’t have enough money for education. We don’t have enough money for health. We don’t have enough money for nutrition. “But we have N1trillion or N2trillion to spend on petroleum subsidies. Where is our sense of what is important, and where is our investment in the future? Earlier in 2018, Nigeria overtook India to become the poverty capital of the world. According to British prime minister Theresa May, 87 million Nigerians are living below the poverty line. Posted on February 3, 2019 Leave a comment on TODAY, CHINA HAS MORE THAN 300 MILLION UNIVERSITY GRADUATES. YET, CHINA DID NOT HAVE DIRECT FOREIGN INVESTMENTS; IN FACT CHINA STOPPED IT. – MUHAMMAD SANUSI II, THE EMIR OF KANO. Sometimes when there is no money, many people tends to reject their wish in life, but those who believe in their wish, and hold on to it, will definitely achieve it someday. My parents really paved the way for us. Both of them are proud of what they do and will always talk about it, using it as a big reference point to us. All through the time I was in school, I still knew within me that the system was becoming obsolete and our parents had already placed their hopes on us, believing that everybody that goes to school must end up rich. So now they want to achieve all their life time dreams through us. Now the purpose of this book is to create awareness and orientation of what is going on, something that we are not bold enough to talk about or protest for, so the system for long has been same way with the same view. 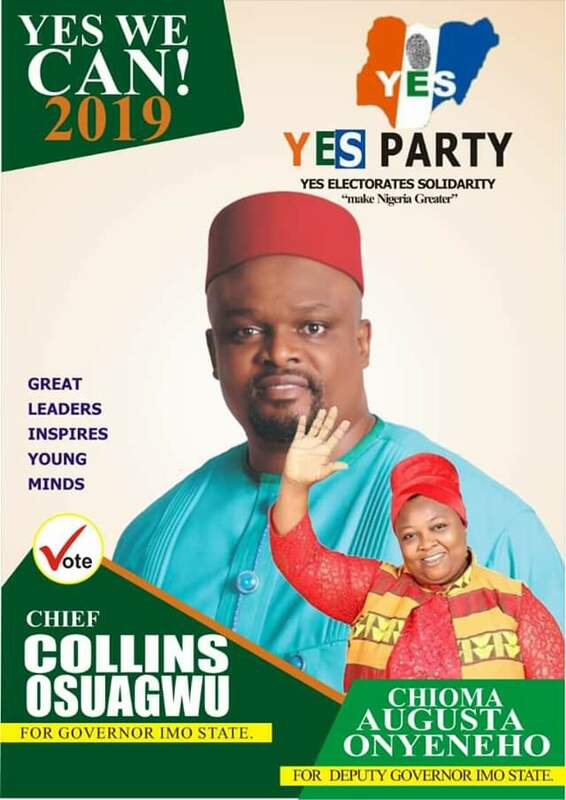 The 2019 governorship candidate of Yes Electorate Solidarity “Yes Party” Imo State, His Excellency Chief Collins Osuagwu, on Friday, February 1st, 2019, promised to shock the Imo State Market Women, with developmental projects when Elected. 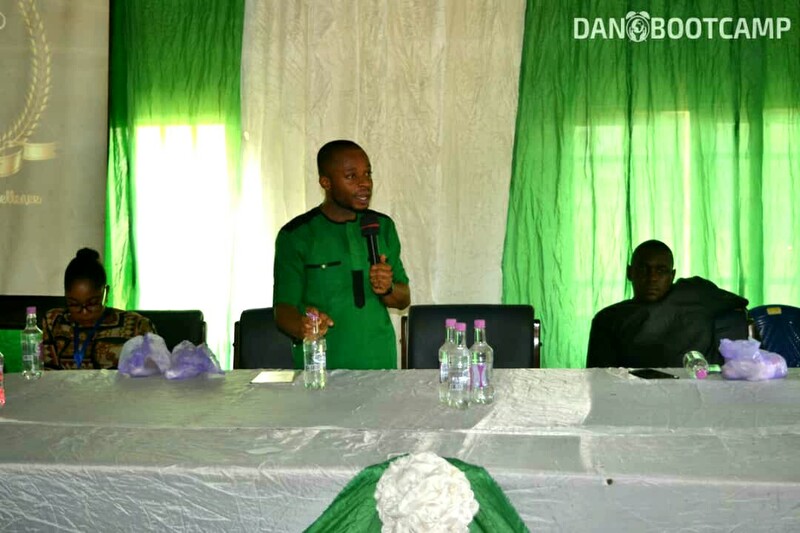 He made the promise through his Personnel Assistant Ikenna Anozie during an interactive session with a section of Market women in Collins Osuagwu Foundation Secretariat Okigwe Road Owerri. Responding to the demand of the Women that when elected the Imo State Governor he should revive Adapalm, improve agricultural practice, provide hospitals and schools and develop the tourism potentials in Imo State, especially the Oguta Wonder Lake Resort and Conference Center. Most importantly Chief Osuagwu assured the Market Women that he would surpass their expectations by providing INTEREST FREE LOAN to enable them support their Husband and Families. “The kind of jobs we will create through Adapalm will be wonderful. We will create more than 3,000 jobs through Adapalm. There is a new technology that converts wild palms to plywood. We have concluded plans with a German company to bring the technology I’m Imo State to develop Imo. This alone will revolutionalize Imo State because they will also revive Adapalm. “I will give you more than what you are asking for because I have studied Imo State very well over the years. Igbo land cannot survive without Imo State. There was a feasibility study by Ukpabi Asika. The man that did the study was Felix Ibru, on the development of Imo State. Chief Osuagwu also promising that we will bring the refinery in Ohaji Egbema and the Naval Base back. The biggest gas plant in Imo State worth over $3bn that has been dormant are going to be functional soon as am elected”. He told the people the need to elect their best, stressing that “2019 will be a difficult year for Ndigbo”. He added: “The restructuring of Nigeria will be on the table and we need to have our best eleven. Our best foot must be there. Those who have experience and the voice must be there. Those who don’t have any skeleton in their cupboards must be there and talk. Those who have skeleton in their cupboards do not speak in the public”. 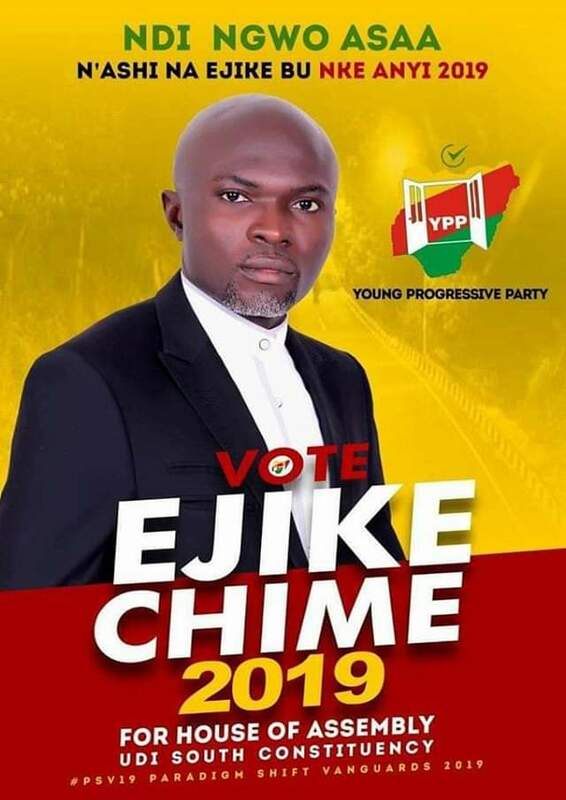 Earlier, the Imo State Party Chairman Chimezie Lemchi, warned the Government against using their youths to foment trouble, saying that “enough is enough”. Chimezie Lemchi said: “From now on there will be no drop of blood in the Government of Chief Collins Osuagwu. They are sending their children to London to study but they use our children to cause trouble. I don’t know why our children should be the ones to be used for causing trouble or killing others for people that do not even love them. Let them bring back there own Children to join. 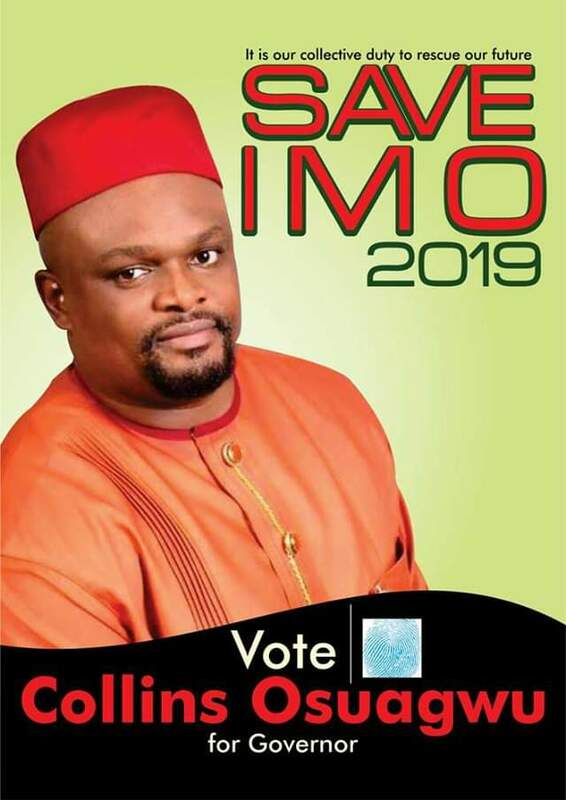 Chimezie Lemchi vowed that soon as Chief Collins Osuagwu take over the government of Imo State there will be no more violence in Imo State, warning that enough is enough. “What we are saying is that this will not happen in the Government of Chief Collins Osuagwu. No one will come to Imo State and take our properties away and send Ohaji/Egbema youths to go and fight in Owerri. They give them N5,000 and invite them to IICC to cause trouble. It will not happen in the Government of Chief Collins Osuagwu. That is why we are saying enough is enough”. 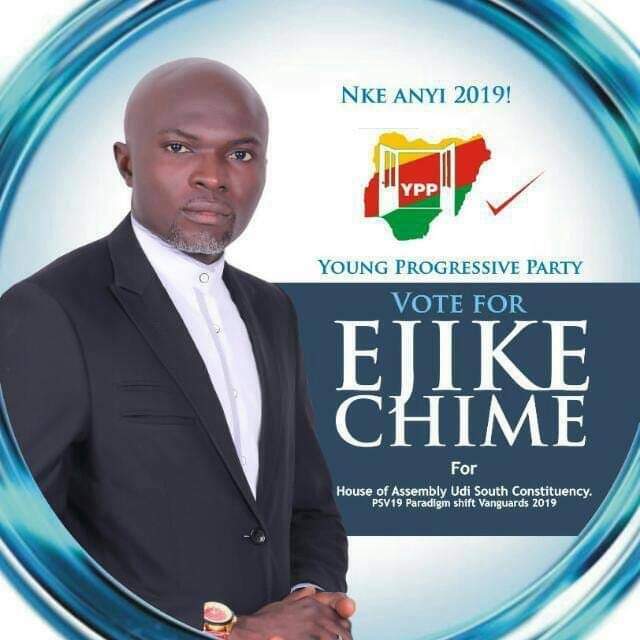 Precious Azubuike-Lemchi Financial Secretary Yes Party Imo State. MY COVENANT WITH UDI SOUTH. VOTE EJIKE CHIME FOR HOUSE OF ASSEMBLY UDI SOUTH CONSTITUENCY. NKE ANYI 2019. They say I only campaign on social media but I tell them that my greatest campaign is my one-on-one day-to-day interactions with my people. They say I don’t have money like they do. But I tell them that the greatest wealth is the people. They say I don’t have a godfather. But I tell them that I have God the Father, and then godfathers who are YOU. Please, I need your support. Vote me to represent you at the Enugu House of Assembly, Udi South Constituency. Posted on January 30, 2019 Leave a comment on MY COVENANT WITH UDI SOUTH. VOTE EJIKE CHIME FOR HOUSE OF ASSEMBLY UDI SOUTH CONSTITUENCY. NKE ANYI 2019.